This is more of a design idea than a technique blog—but it’s just no fun to only show the final picture. So, here’s a few pictures that I took along the way …. Here I am…..piping hearts. There is a lot of repetition, but nothing needs to be exact or perfect. That’s how I like it :0) It takes the pressure off….plus, the outcome is always fun and whimsical when there is variation in sizes, shapes & colors. 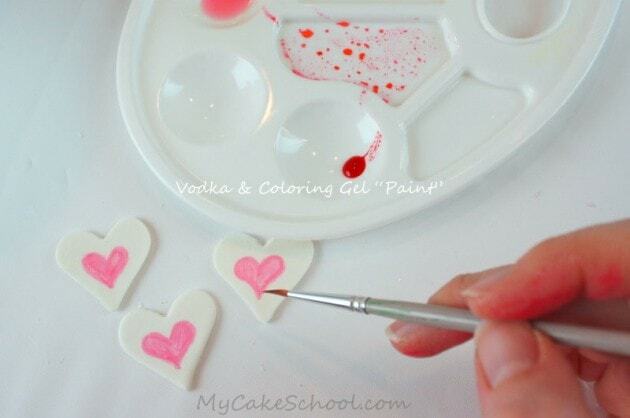 Here are some of the basic heart shapes & tips that I used—experiment with whatever you have on hand…. 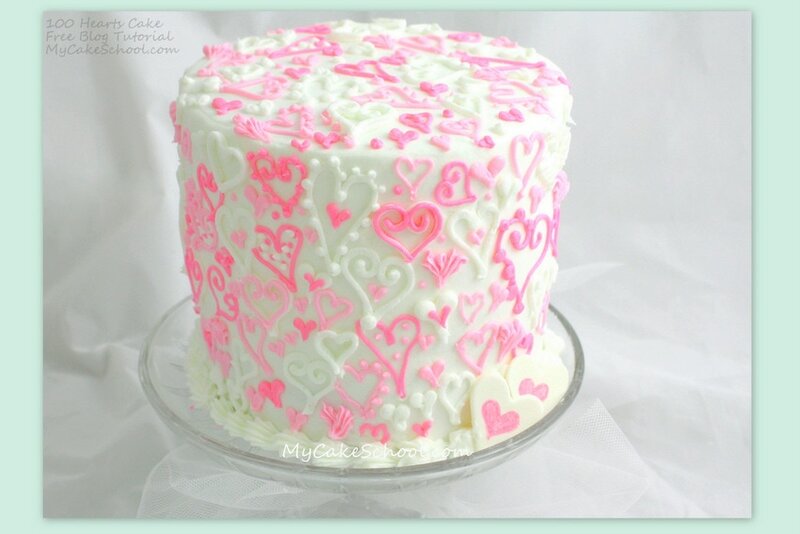 And many hearts later….the cake was finished! That’s all for now, I hope that you enjoyed it! 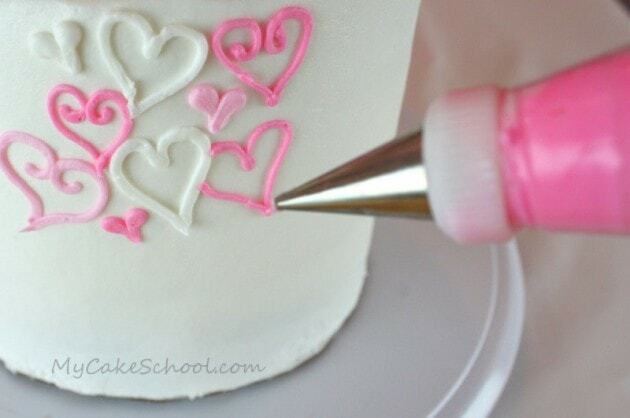 If you make a heart cake of your own, I’d love to see! 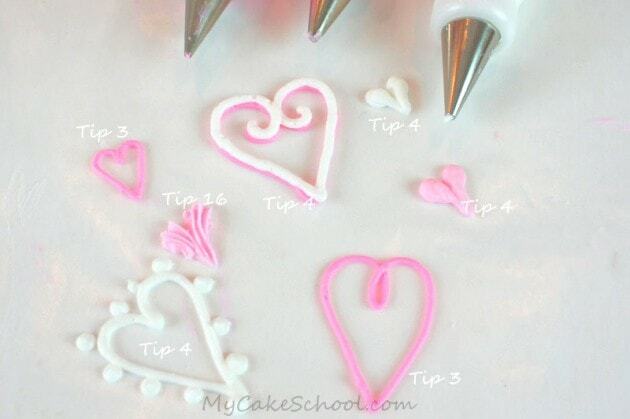 Sweet Valentine’s Cupcake Wreath- Cake Decorating Tutorial! can you tell me the cake recipe you used to make tall cake. Love it. Your tutorials are the best and so easy to follow, even if you’re a beginner. 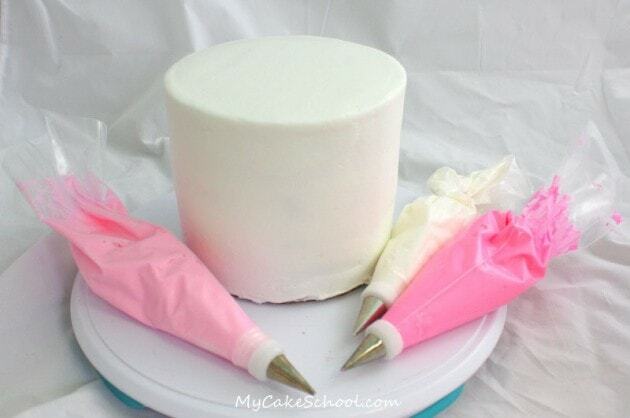 This cake would be so cute at an engagement party or even taken up a notch as a wedding cake.